Clinical Pharmacology in Obstetrics presents an extensive examination of drug usage in pregnancy. It discusses the principles behind the adverse effects of drugs on the fetus. It addresses studies in the drug treatment of heart disease in pregnancy. 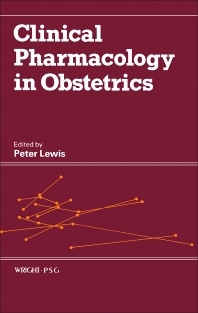 Some of the topics covered in the book are the examination of pharmacokinetics in pregnancy; analgesia intake of pregnant women; drug treatment of gastrointestinal disorders; antibiotics and antimicrobial chemotherapy; anemia and hematinics of pregnant women, use of cytotoxic drugs; and treatment of threatened and recurrent abortion. The definition and description of antihypertensive drugs, therapy for asthma, and tocolytic therapy for pretern labor are fully covered. An in-depth account of the prophylactic treatment of idiopathic respiratory distress syndrome is provided. The drug treatment of thyroid and adrenal disease are completely presented. A chapter is devoted to description and effect of perinatal drugs on new born baby. Another section focuses on the treatment of renal disease. The book can provide useful information to obstetricians, doctors, students, and researchers.